You’ll Eat Up CPK Rewards™! It’s easy and fast enjoy your hard-earned rewards – and #CPK Rewards has never looked (or tasted) so good! California Pizza Kitchen: Go to cpk.com or download our CPK Rewards app for more details. *Earn one point for every $1 you spend, excluding alcohol, tax, gratuity, gift card & retail purchases. See cpk.com for official program details. California Pizza Kitchen is the authority in creative dining with a California vibe. 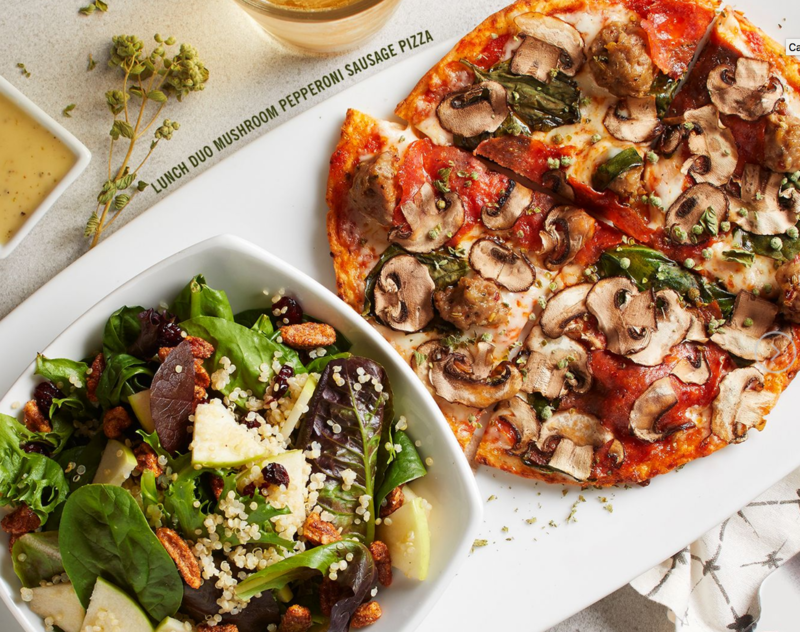 With a passion for combining fresh, seasonal ingredients with flavor inspirations from around the world, CPK offers a taste for every guest and every occasion. From signature, hand-tossed pizzas and high-quality main plates to veggie-packed Power Bowls, Lunch Duos, premium wines and hand-crafted beverages, CPK adds its imaginative twist to create a memorable casual dining experience with each meal. For more information, visit cpk.com.